For fully optimised workspaces. A start-up that will be present at CES 2019 on the La Poste French IoT stand. Start-up Moffi provides an app, Moffi.IO, which enables companies, incubators, co-working spaces and universities to manage the availability of the workspaces they make available to mobile workers. The same solution makes it very easy for professionals to book a workspace when they travel. Arnaud Coisne used to travel frequently, and could never find a suitable place to work. This observation inspired him and his brother Edouard to create the start-up Moffi in 2015, to make life easier for mobile workers and for companies that rent out co-working spaces. In addition to its two co-founders, the start-up now employs three developers. Moffi.IO is a simple tool for managing spaces. Its technology delivers flexibility for rental companies and mobility for workers. More than 1,200 locations are listed, and it takes just three clicks to book a workspace. Moffi.IO is available on desktop and mobile (IOS or Android). It delivers a comprehensive solution to companies that encourage project-mode organisation and support remote working. It’s also a means of sharing spaces and optimising floor space in offices, while guaranteeing users a space that meets their needs precisely. For employees, travel time is reduced, and the workspace is a perfect match for its intended use while creating opportunities to meet people from other environments. 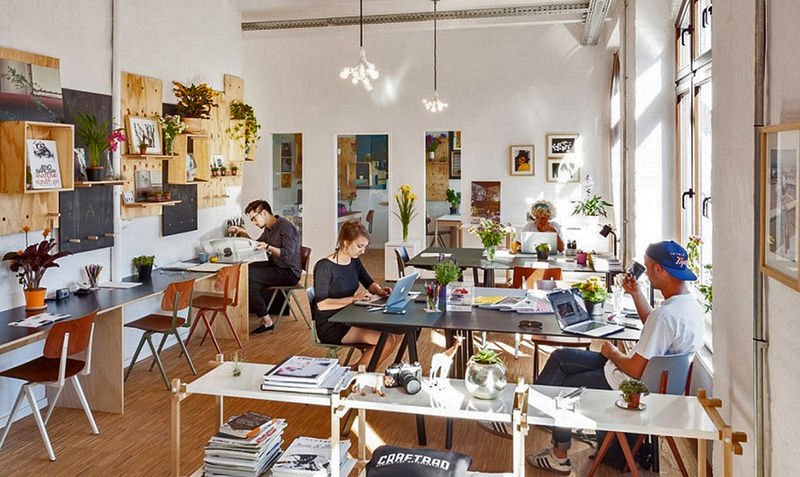 For companies, workspaces are shared and optimised. More information is available on the Moffi website. Moffi’s solution to simplifying mobility will be tested early in 2019 within Poste Immo, in Hauts-de-France and the Grand Est region, on a panel of some 150 users. It will have to meet the needs of mobile Poste Immo employees looking for an easy way to find spaces for their meetings and appointments. It also needs to improve management of meeting rooms and offices by optimising their use.